When I was a kid, I couldn’t bear the thought of finishing in second place. Girls could do anything, I was taught, and we weren’t supposed to settle for anything less than a blue ribbon. That desire to be “the best” motivated me to work hard at school, but I never learned to distinguish between being the best and doing my best. As a result, the small setbacks of life felt like mortal blows. Because I was so afraid to fail, I was often afraid to try. I thought it was just me, but some 30 years later, I learned that my fellow “Free to Be … You and Me” moms — women raised to believe they could have it all and should excel in every arena — were encountering a similar stumbling block. When my co-author and I surveyed 905 American moms born between 1965 and 1980, we figured these women would cite inflexible employers or financial pressures or unhelpful spouses as the biggest barriers to work/life balance. What did they actually blame? Their unrelenting perfectionism. Perfectionism emerged as the single greatest roadblock to juggling work and family; the “constant need to be the best at everything” far outweighed all other factors, including financial pressures that forced women to work more than desired, inflexible employers, inability to afford extra help with cooking and cleaning, and partners who didn’t contribute enough at home. In short, our attitudes had become our own worst enemies. We had been sucked into a perfection maelstrom, feeling as if we had to supervise every minute of the kids’ schedules while staying up-to-date on every trend and keeping pace at the office and at home. No wonder we were so unhappy and exhausted! Luckily, our research also revealed a group of moms who had managed to part ways with their perfectionist pasts — we called them the “Good Enoughs.” These moms reported that being the best wasn’t so important — instead, this group aimed for “good enough and happy.” And the kicker? They were better off than the perfectionists! The data convinced me that I needed an attitude makeover, and as I redefined my goals and priorities, I came to realize that I couldn’t pull out all the stops in every area of life, all of the time. Perfection wasn’t a reasonable goal, and it was a relief to let it go. The best part, however, wasn’t what ditching perfectionism did for me. It was what it modeled for my kids. My boys have inherited some of my perfectionist tendencies, so as I studied perfectionism and its pitfalls, I made a point of showcasing my screwups. According to parenting expert Ellen Galinsky’s latest book, Mind in the Making, that’s one of the best things we can do for our children. Life skills are essential to a child’s development, and the ability to overcome adversity (no matter how small or large), is a biggie. It’s about developing a “growth mindset” in our kids. Children who wither when confronted with challenges view their abilities as fixed — once they fall short, it’s very hard for them to rebound. On the other hand, kids who develop a “growth” mindset believe they can improve (in ability and intelligence) over time and with practice. They view new challenges as fun and exciting, and if they don’t get it the first time, it’s not the end of the world. Now, when I fall short of perfect (which happens several times a day), I try to describe my mistakes to my kids, and then I assure them that life still goes on — perfect or not! 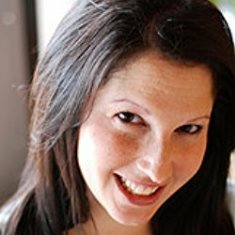 Hollee Schwartz Temple is the coauthor of Good Enough Is the New Perfect: Finding Happiness and Success in Modern Motherhood (Harlequin Nonfiction, Spring 2011). A work/life balance columnist for the American Bar Association Journal, Hollee is a law professor at West Virginia University College of Law.